This last weekend has been so hectic, today feels oddly like a Sunday. I’ve gotten all my necessary cleaning and errands done, and finally managed to have a bit of time free to write a recap of the last two days. In short, it was filled with ballet. Saturday was ultimately a “work day.” I use captions here because, having worked in an oppressive corporate office for one year, my Saturday workday can be qualified as the least work-like day ever. I began my day teaching the little ones (as usual), and followed this with a quick run to San Francisco Dancewear in the East Bay to pick of a pair of pointe shoes that I had ordered. 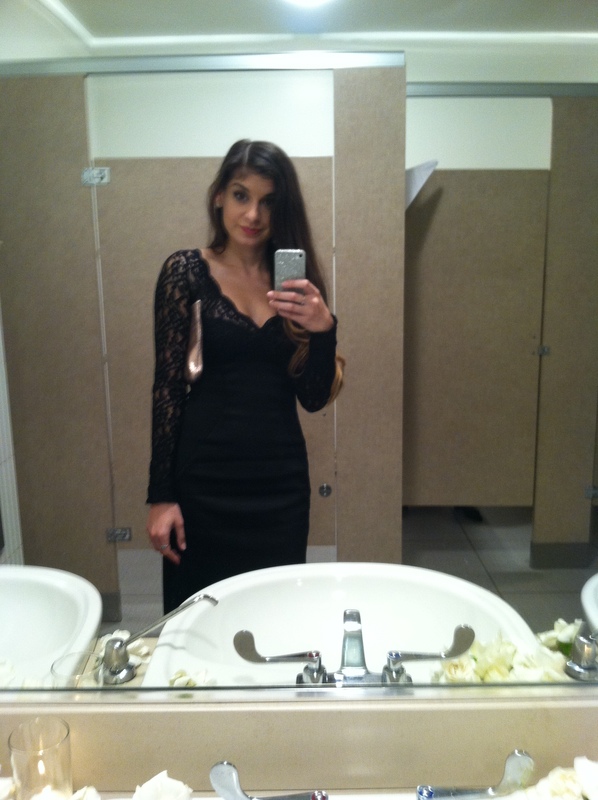 I then returned home to get ready for the highly anticipated Smuin Ballet 20th Anniversary Gala. 20 years! And I get to work for them! (On a sidenote: this is a ballet company I clearly admire above others, so I was beyond thrilled to be a part of their big anniversary gala). Held at the San Francisco Design Center, and boasting a beautiful set up, I arrived just in time to catch a bit of the dancers rehearsing prior to the official start time. 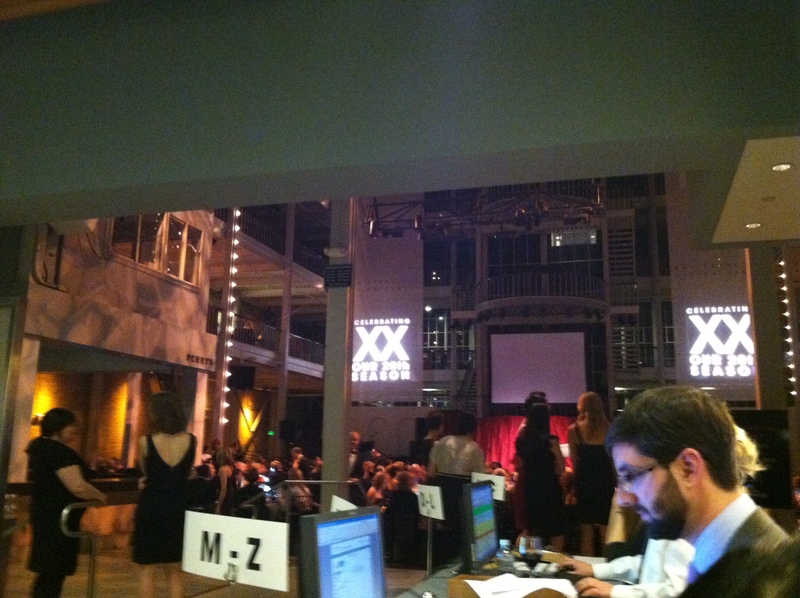 I primarily assisted in getting the 300+ attendees registered and set up for the silent auction. It was fairly straightforward and some of the best people watching of the night, which honestly distracted me at times. For the most part, everyone was beautifully and impeccably dressed. But, I must say that blue eyeshadow and glitter eyeliner does not and should not fly after the age of 11, and is never black tie appropriate. Aside from that faux pas, I saw some gorgeous Valentino and Alexander McQueen little numbers. I admired a woman who had let her waist length hair go naturally silver, topped it with a black fascinator and delicately beaded cap-sleeve bolero. I want to be as stylish as her when I’m older. Following the silent auction, there was a performance featuring a little bit of everything Michael Smuin, dinner was served, a live auction was held, and the night ended with the live band playing and an open dance floor. The evening meal was provided by McCalls Catering and consisted of a spring pea gazpacho and ceviche starter; braised short ribs on a bed of barley risotto; and a little flourless chocolate cake-thing topped with raspberry sorbetto and chili sauce. I tell you all this because it was delicious. I had to dash out early to meet a friend in another part of town, but the whole evening was so lovely. The front desk, a view of the main stage, and Allen, the boss man. He’s officially the Patron Services Manager, but more friend than anything. I considered it part of my duty to provide him hugs when it looked like he was too stressed. 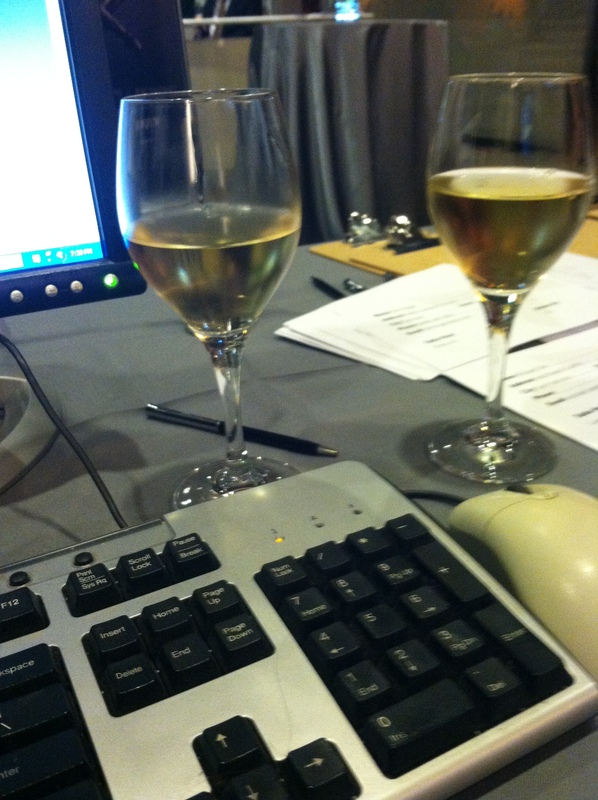 He in turn insisted that I drink additional glasses of wine when I was done working. A good boss. Let me preface this by saying these did not both belong to me, and yes, this is still my workstation. Alternately: this is how everyone’s desk should look at the end of a successful day at the office. 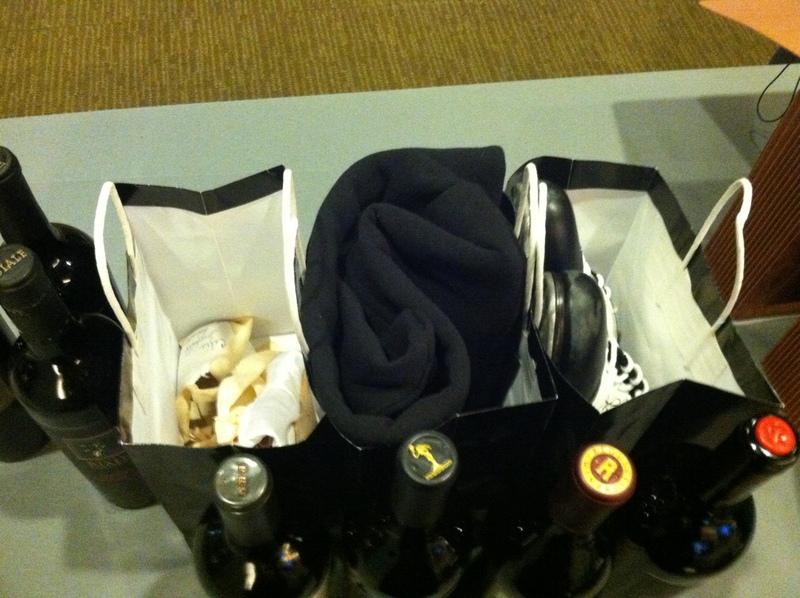 Some of the fabulous auction prizes: Shannon Hurlburt’s tap shoes, a signed Smuin Ballet sweatshirt, the now Artistic Director’s signed pointe shoes, and copious fine bottles of wine. The radiant Erin Yarbrough and Josh Reynolds performing a pas de deux from “Frankie and Johnny;” making it look easy. This was one of my very favorites. I’m also going to take this moment to say that she trained me. That lovely lady right there. I know her, and am a big fan. 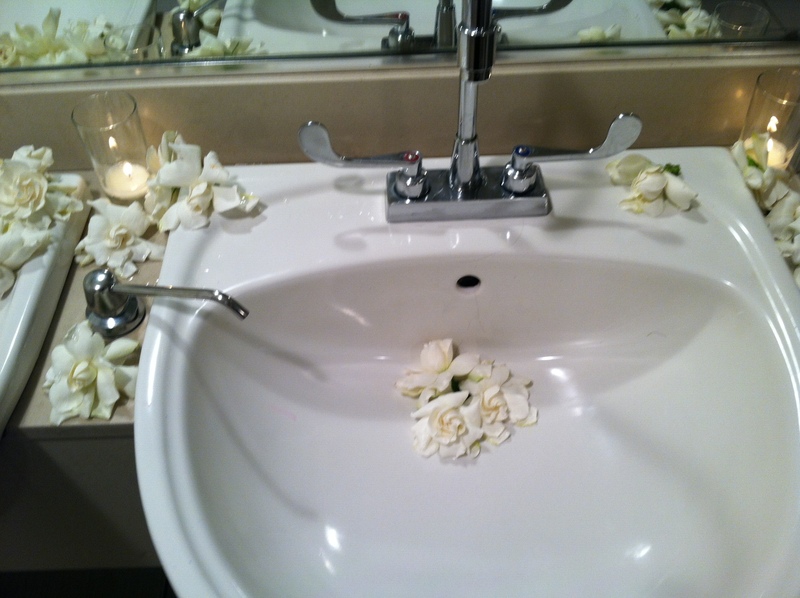 You know you’re at a fancy event when the bathroom sinks are filled with gardenias. It smelled amazing, but I believe everyone felt guilty running the tap over these delicate things. What I wore! In the bathroom! There never seemed an appropriate time to ask anyone to take a picture, so I snuck a quick one in. I insist on being fully independent, so you get to look at my phone in every picture that I take of myself. Sorry! 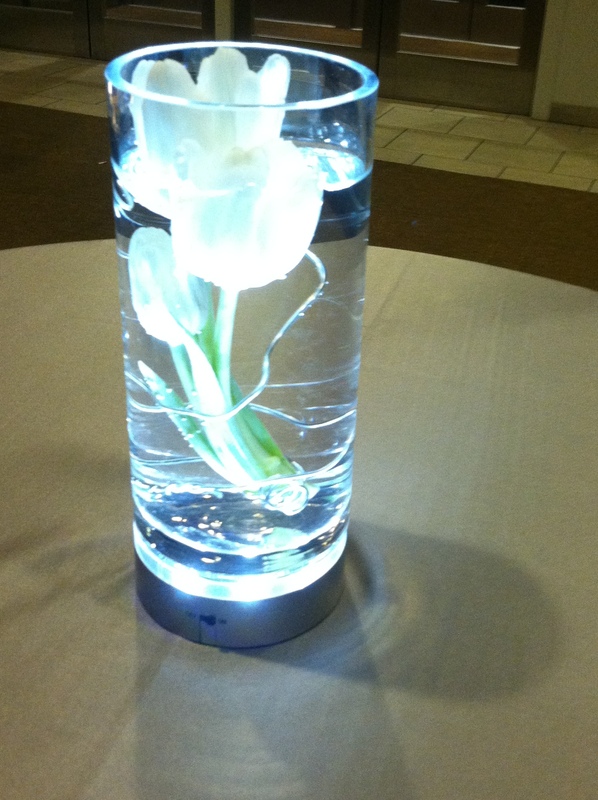 Illuminated tulips served as the centerpieces to every table- very unique. This was all just one evening; my Sunday consisted of some additional celebrations, namely my mother’s birthday and our attending a San Francisco Ballet matinee together. I promise I will elaborate later on this week. I would also like to take a moment and acknowledge my 50th post on Watch Me Juggle! I blogged every single weekday of February, and with this post, I’ve finally made it to number 50. It seems like no time at all, and I fully intend on continuing to post everyday! Thank you all for reading up to this point, and thank you for all your wonderful support. I would have never thought that I could write about my life and have so many people appreciate it. It’s really a great feeling.